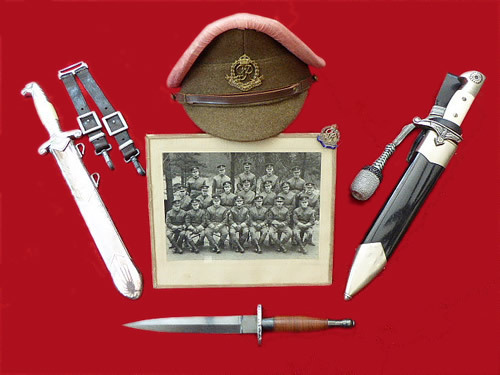 I have been a military collector for over 40 years, concentrating mainly on Edged Weapons, Dress Daggers and Swords, be them British, Third Reich, Japanese or from any other fascinating corner of the globe. I have now decided to turn my hobby and passion into a business moving on my sizable collection, along with fascinating new items I acquire. I endeavour to accurately describe and provide detailed photographs of the items that are listed for sale. All items are original and authentic to their period unless stated otherwise and carry a Money Back Guarantee. I hope you enjoy my site and find items of interest to expand your collection. If you are looking for something specific, please drop me an email and I will happily check my stock. This website is purely for historical and investment purposes only and does not represent any political view.